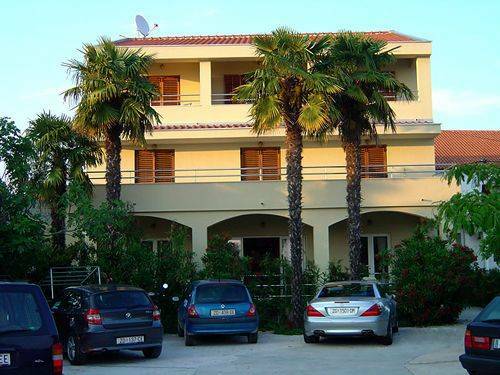 Our offer include renting 2 to 4 persons apartments. Every apartment have balkony, kitchen with dishes, pots and cutlery, toilette with shower, air conditioning, tv and satelitte reciver etc. Additional bed is possible for apartments. Bedlinen and towels are guaranteed. The beach is about 30 meters far away and grocery store is 10 meters. The closest restaurant is 30 meters far from the house. 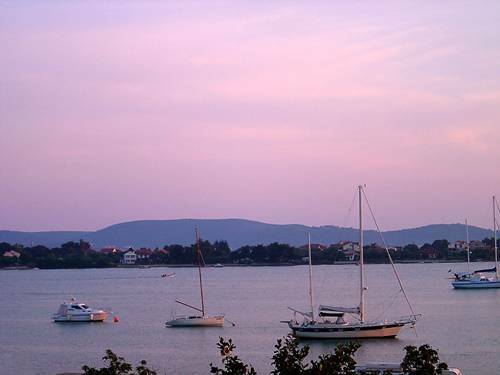 Sukošan is settled between Zadar and Biograd. You can come with Adriatic main road or highway (A1). The many coves and sandy beaches are suitable for a family vacation. The largest marina on the Adriatic coast, the D-marine ( ex marina Dalmatia) is situated in the Zlatna luka (Golden Harbour) bay.